The American rapper – the musical alter-ego of actor and writer Donald Glover – dropped the surprise single last weekend, taking aim at gun violence in his home country in a powerful video that sees him shooting people around him. The video has been watched more than 70 million times in six days, and the track is this week’s highest new entry on the Official Singles Chart, debuting at number 14. His only other top 40 appearance to date was in 2012 as a guest on Leona Lewis’s Trouble, which peaked at number seven. 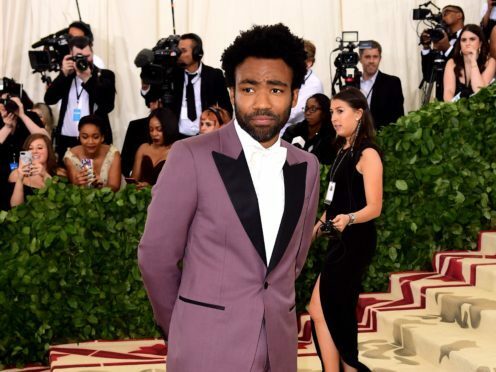 Glover’s effort has been widely praised across the board by fans and celebrities, including Adele, Bruno Mars and Taraji P Henson. This week’s number one single is One Kiss by Dua Lipa and Calvin Harris, topping the charts for the fourth consecutive week. Canadian rapper Drake is at number two with Nice For What, Ariana Grande’s No Tears Left To Cry is at number three and Freaky Friday by Lil Dicky featuring Chris Brown is in fourth place. The top five is rounded off by Anne-Marie’s 2002, in the same spot as last week. 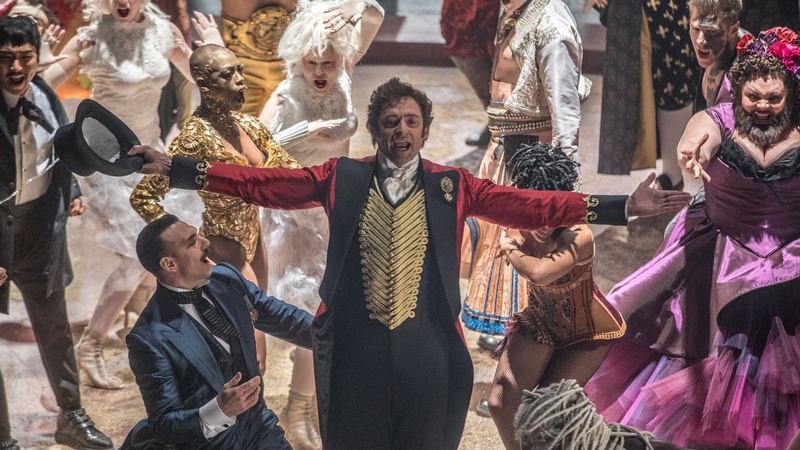 Over on the albums chart, previous chart-topper The Greatest Showman soundtrack has rebounded to number one to log its 15th non-consecutive week at number one. Earlier this year, the soundtrack to the hit musical film became only the second album to spend 11 weeks in a row at number one in the last 30 years along with Adele’s 21. Last week’s champion, Beerbongs & Bentleys by rapper Post Malone, has been pushed down into second place. The highest new entry on the Official Albums Chart is Frank Turner’s Be More Kind, in at number three. Staying At Tamara’s by George Ezra is at number four, and Plan B’s new album Heaven Before All Hell Breaks Loose has debuted at number five.